WASHINGTON – (March 19, 2012) – Everything that happens, happens for a reason. Even trials and tribulations can turn out to be blessings in disguise. In I Must Tell Jesus, author Dr. Lloyd G Fennell shares an wonderful testament of faith that will help readers in their own walk with God. I Must Tell Jesus is a personal tale of perseverance—of the trials and setbacks that at times led the author to wonder if something were missing in his life. 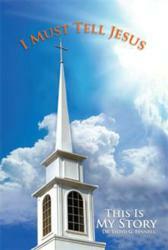 This story of faith reminds readers that in times of trials and adversities, they can still give thanks to God. Fennell emphasizes the need to learn to trust God in His unfailing love, which is their help and their shield in times of trouble. Despite all the challenges that life may deal a person with, if he counts his blessings, he will realize how blessed he truly is. A beautiful and touching tribute, I Must Tell Jesus is a testimony of faith in the divine healing and power of God. It will uplift those who feel alone and revive the hope that everything will turn out well in God’s time. Lloyd G. Fennell is a Licensed Professional Counselor and President of the Ecumenical Counseling Institute and the Save a Child Save a Family Foundation. He has past experience includes Program Administrator, Case Management, Counseling, Public Speaking and professorships at several adult institutions. Dr. Fennell is an Able Toastmaster Silver who conducts motivational seminars and workshops on the subject to preventive Child Abuse and Domestic Violence. He also offers life-changing counseling for returning service personnel and re-entry offenders.